Majority of minority rule against corporate democracy? Atria Convergence Technologies (ACT), India’s largest fiber-based broadband services provider, is looking to raise nearly Rs 800 crore from the capital market via an initial public offering (IPO) of its equity shares. Last year, the company had filed a Draft Red Herring Prospectus with the Securities and Exchange Board of India (SEBI) and is now awaiting the regulator’s nod to its IPO proposal. ACT, which operates the broadband services under the brand name of ACT Fibernet, is bullish on the domestic data consumption matrix going forward, especially video content. “The home wired broadband penetration in India is merely seven per cent compared to 35-40 per cent in other Asian countries such as Indonesia and Malaysia,” ACT CEO Bala Malladi told Business Standard here adding in the developed economies of the US and Europe, the ratio was even more than 70 per cent. He added the company planned to raise about Rs 800 crore from the IPO route subject to requisite approvals and market conditions. The Draft Red Herring Prospectus is available on the websites of Sebi, ICICI Securities, Citigroup Global Markets India, J P Morgan India and HDFC Bank. ACT’s current investors include private equity firms TA Associates and True North. Headquartered in Bengaluru, ACT Fibernet has operations in 18 Indian cities and has nearly 1.4 million customers. Last year, it had added 1,10,000 new customers to kitty, he said. Meanwhile, the company has now launched its operations in Lucknow now. “Lucknow is one of our focus markets to expand and strengthen our presence in North India. We are confident that with our new offerings, customers will feel the advantage of speed and explore a whole new dimension of home internet experiences,” Malladi noted. India, is witnessing growing demand for high-speed broadband, owing to the robust data consumption. 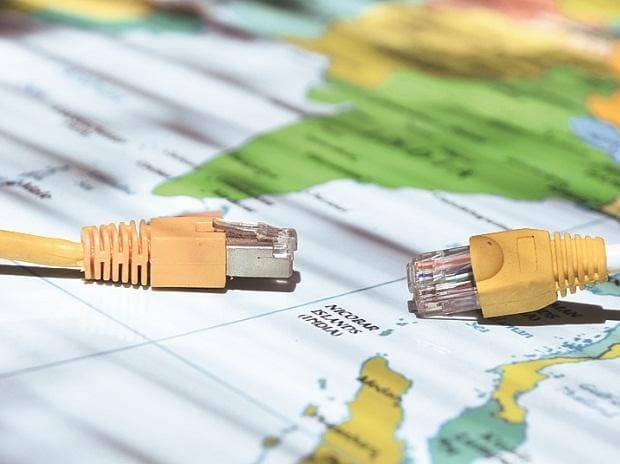 The number of broadband subscribers in India has added over 6.5 million new broadband subscribers between November 2018 and December 2018 alone, as per a recent report. By 2020, internet penetration is estimated to breach 600 million users. “Almost 90 per cent of our customers are retail customers, while the remaining could be clubbed as enterprise customers,” he informed. Meanwhile, he said domestic data consumption was likely to witness a spurt of 10-15 per cent during the coming elections, which was normal during big events, such as Indian Premier League (IPL). ACT has a market share of about seven per cent in fixed broadband, while its share is much higher in the Southern state, including Karnataka, Andhra Pradesh etc. He claimed the USP of the company was high speed broadband for a seamless data transfer experience, especially high quality video content. Meanwhile, ACT Fibernet has launched different usage plans, including ACT Silver plan, which offers 100 Mbps speed with 500 GB FUP limit. ACT Gold plan will offer 1000 GB FUP limit with 150 Mbps speed.